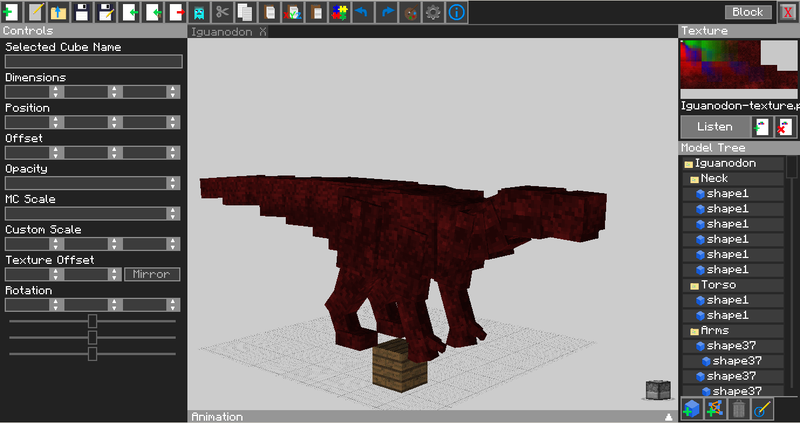 The Wessex Mod aims to bring the world of the Cretaceous Wessex Formation into minecraft. A total of ten species of animals are currently planned with more possibly later. The mod will strive to recreate the Cretaceous in the most accurate way possible. This means yes... ...feathers. I am looking for coders, texturers, modelers, animators or anyone else wiling to help with the progress of the mod. The end goal of this mod is to add a biome that spawns similar to mooshroom island which resembles the Wessex formation ecosystem. We will only do mobs from the Wessex Formation so please do not suggest things such as Tyrannosaurus or Velociraptor. Regarding this, suggestions are welcome to help carry this mod into the future. The first mob's model has been created and a preview has been attached below. 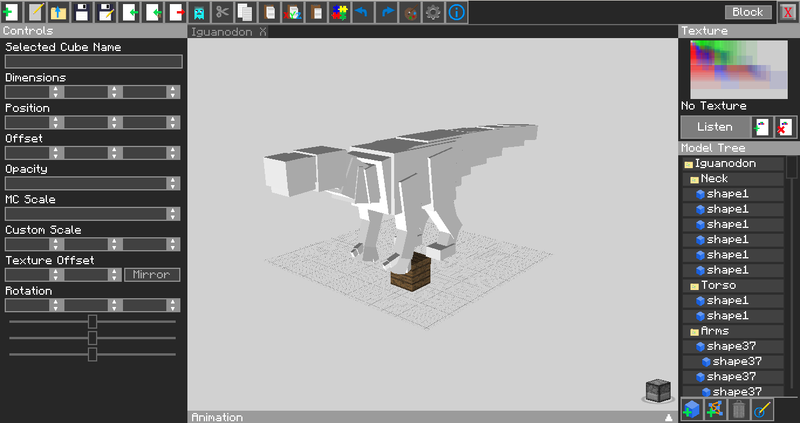 Attempting to start texturing the Iguanodon. Don't know how to texture and am just messing around to try and figure it out.